Here’s a great piece from Construction Dive discussing the rise of the wellness-minded spaces. As environmentally friendly approaches to design and architecture have become more wide-spread, the next big trend in residential development that’s certain to affect the real estate industry is a new kind of smart home, a domicile designed to sustain the inner wellbeing. Through the state-of-the-art systems that can, for example, introduce and circulate probiotics in the air, diffuse homeopathic scents throughout the home at the push of a smartphone button, coax residents into a natural circadian rhythm and create stepped water purification systems, homeowners can create a space that connects the dots of their attempts at a healthier lifestyle. Sounds incredible, but there is just one thing: to even begin connecting the dots, one first needs a quality space. Our new listing, an eco-conscious, energy-efficient build, fits the bill exactly. 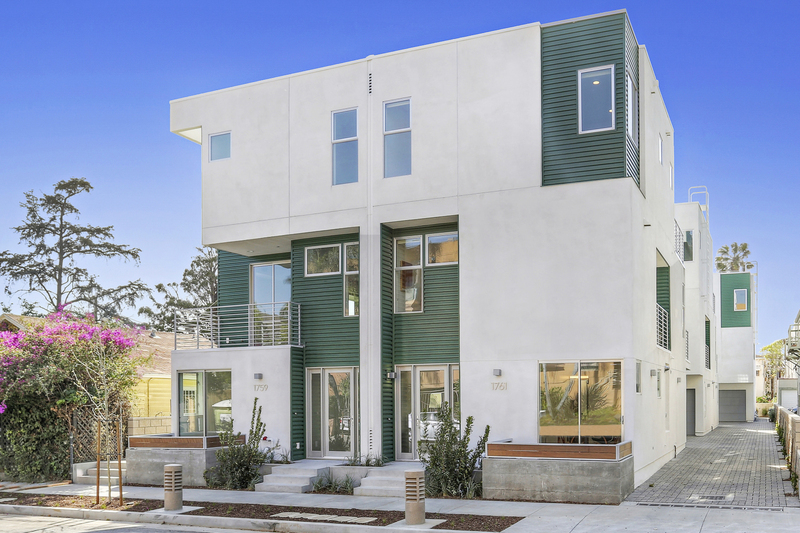 A suite of six contemporary homes, these beautiful residences in Los Feliz Village feature sustainable energy-saving systems like Hydrostop cool roofing, water-conserving faucets, and built in electrical conduits for future solar panel installation and future EV charge station. A perfect setting for all your smart home ideas- join our Broker’s Open this Thursday from 6-8PM and Open House this weekend from 2-5PM. 1759 N. New Hampshire Avenue, 90027. When my son, Noah, was little — 3, 4 and 5 — we rode Angels Flight all the time. We would take the Purple Line downtown from Wilshire and Western, get off at Pershing Square, walk a block or so down Hill Street and ride the funicular up and down. Those excursions are part of what Angels Flight represents, at least to me. In part, this is a matter of nostalgia, but it is also something more. Cities are built of memories as much as they are constructed out of steel and stone. When I walk by the orange arch on Hill Street, with its Beaux Arts flourishes, I recognize that Angels Flight remains a relic of the city as it was in 1901, but I’m mostly reminded of my own history in the place, all those Saturdays and Sundays with my son. It’s amazing how much history is packed in just one bit of city infrastructure. 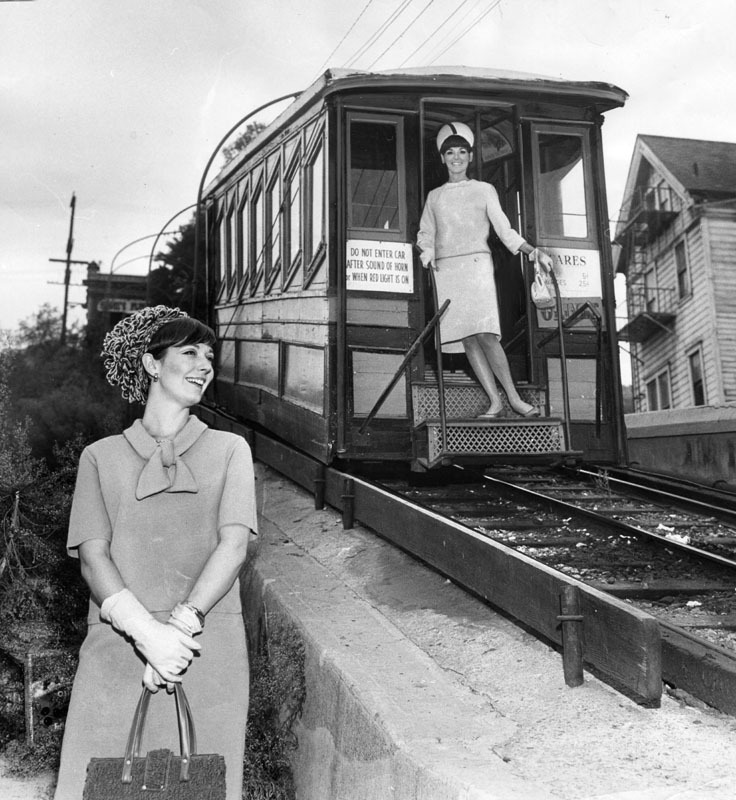 Looking forward to making new memories come Labor day – though can only hope to be as stylish as the fashionable commuters in 1965. More exciting news from the front lines of sustainable design that only a few years ago would seem futuristic. Elon Musk, the founder of innovative Tesla, promises that the recently developed materials and technologies would bring the cost of electricity-generating solar roof down to a point where it would actually be cheaper to install a roof of solar panels than go with the good ole traditional structure. Musk then specified that this cost would include the labor costs and not take in subsidies for solar. The other great thing about the Tesla solar roofing concept is the decided improvement in the aesthetics department – rather than taking the usual form of an unwieldy solar panel, the Tesla solar cells would be encased in glass and shaped like tiles, allowing for easy integration into the residential architecture and helping grow the popularity of environmentally friendly building practices. Check out the story and take a look at the design gallery here. This undulating, gently rotating capsule fits right in the LA futuristic architecture canon. Devised in response to the site-specific “Hollywood” design competition put out by architectural research group Arch Out Loud, the proposed structure answers the call to “demonstrate the use of innovative technology, integrative environmental strategies, and capitalize on the iconic prominence of its site beneath the famed Hollywood sign”. The contest came about when the owner of the land, Steve Alper, recognized the potential of the location as a space for new iconography; indeed the architecture along Mulholland drive is very much defined by 20th century architectural thought, and what better place to set a beacon of the future than beneath the letters spelling out the word that came to stand for the world of dream and fiction. The winning proposal was put forth by LA based firm Hirsuta, that “privileges the role of matter in design process” and focuses on the sensory experience of space ie how the space feels rather than what it is. The design, while tackling sustainability and addressing the senses of inhabitants – the house would be powered by solar panels and the ( very slow) rotation would provide a different view each season, also takes the idea of a smart home to a new level: with a photovoltaic “breathing” skin that responds to the environment and movement synched with the motion of earth, it’s almost a creature in it’s own right, with something approaching an agenda that seeks to harmonize the environment and the human. Whether we are ready for such radical redefinition of residential housing remains to be seen, but “The Ambivalent House” is certainly a curious foray into a technological utopia. Imagining seeing this home in the MLS database made us smile. Very honored to have our Atwater Village listing at 3134 Glenmanor Place featured as the Home of the Day in the LA Times. A beautiful home, this stylishly updated Spanish Bungalow also boasts an amazing location – an easy commute toHollywood, Glendale, Burbank and Downtown LA, plus all the neighborhood favorites from Proof Bakery to Bon Vivant Market & Cafe are practically at your doorstep. The first day of spring brings some great news! Our listing, A Stunning Spanish Home in the Hills of Echo Park, just made it to the Home of the Day section of the LA Times. Truly a beautiful home in a great location, take a look at the story and come visit our Open House this Sunday, March 5th from 2-4pm. at 1521 Parmer Ave. 90026. See you there! 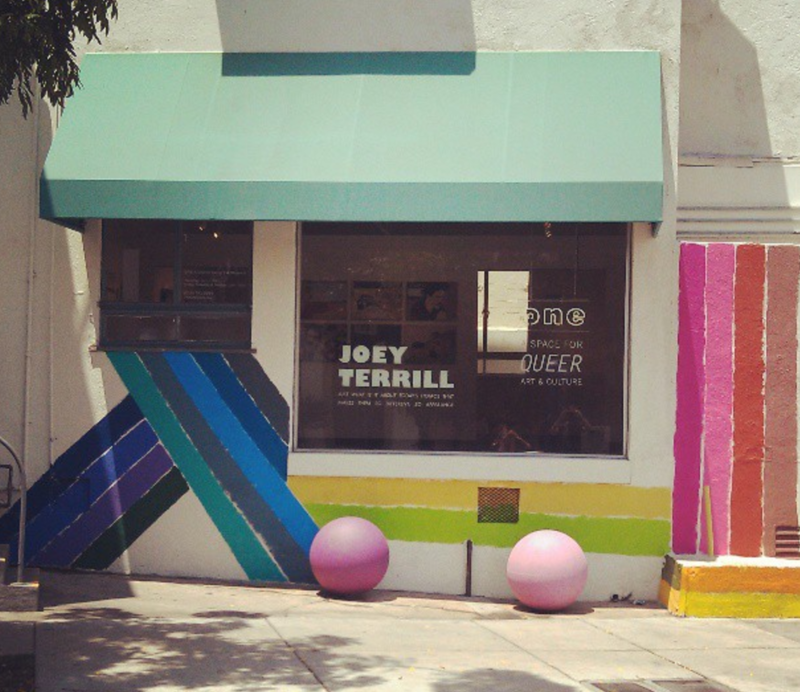 A moving geographic essay about the local LGBTQ history over at CurbedLA, by Bianca Barragan. Delve in and watch the LA map come alive with site-specific stories of Angelenos, told through the buildings and places that played important roles in the 20th century LGBTQ rights movement. Some structures no longer exist, yet some remain, like the home of the Tom of Finland Foundation, a 1921 Craftsman in Echo Park that received the LA Historic-Cultural Monument status just last year. If you are keen on learning more, we recommend a visit to the fantastic collection (also included on the CurbedLA map) of the One Archives Gallery & Museum, permanently hosted at the USC Library in West Adams. Millennials: to buy or not to buy? 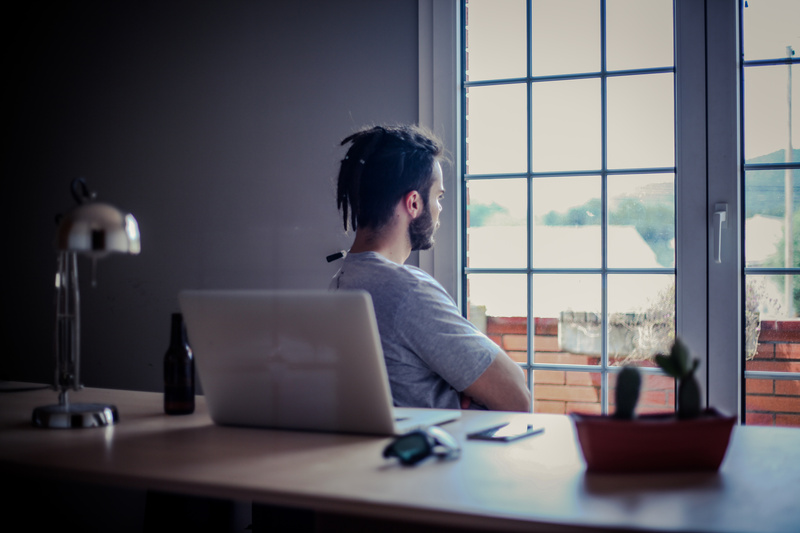 Millennial home buying trends have been the subject of much industry scrutiny in recent years. Some claim that the touted urban lifestyle is but a passing phase, that it will lose its allure, and that millennials will follow the steps of their parents and move to the suburbs when the time comes to start a family. Others speculate that co-living and sharing housing became the norm for so many young people that it disrupted the very idea of homeownership, with people increasingly delaying buying into their thirties. Our guess is that the truth is somewhere in the middle- there will be those that will move to the suburbs and those that will remain loyal to the urban hub. Regardless of the the route one takes, the benefits of owning a home are indisputable, and the earlier one gets into the market, the better. And if that seems a mere dream, we are happy to bring you the news that according to this story, owning a home before 30 is an actual possibility. The author, Sharon St. John, does a great job of demystifying the journey to homeownership by parsing it into a series of smart, manageable, and even fun steps. Head over to inman.com to read the article and get inspired, and if you are thinking of buying a home or would like to discuss your goals, do get in touch. So thrilled to have our new listing, A Sophisticated Silver Lake Modern with Guest House, featured as Home of the Day in LA Times. Take a look and join us at our Open House this Sunday, Feb. 19 from 2-4PM.